Surf’s up! Lottie is all set for a fun, exciting day on the beach, building sandcastles and heading out into the sea with her mask and snorkel. 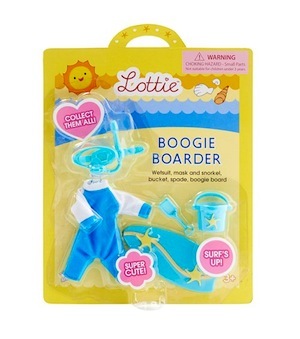 Lottie finds it’s a real challenge to keep her balance on her body board, yet she’s determined not to fall off. Will Lottie catch a big wave? 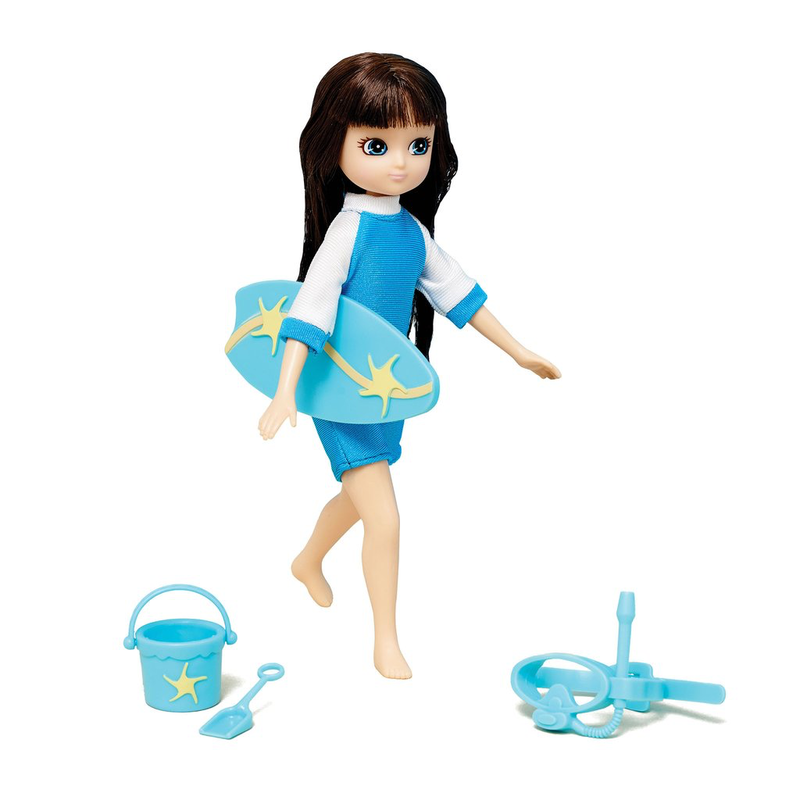 The outfit set includes wetsuit, mask and snorkel, bucket, spade and body board.